A poor man from Hanoi has devoted the last decade to collecting almost 25,000 fetuses from abortions at local hospitals to give them a proper burial at a cemetery near his home. 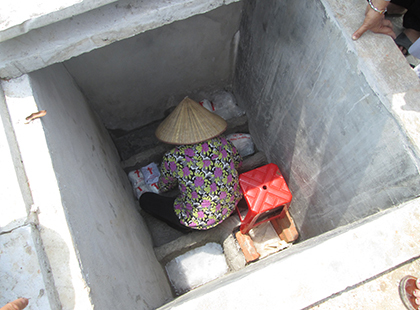 Each day Nguyen Van Nho, from Thanh Oai District, goes to local hospitals and private clinics to collect fetuses. In the evening, he prepares small earthenware coffins and then brings them to the ceremony. He prepares very carefully to avoid negative impacts on the surrounding environment. Initially, he would wait until the evening to take the coffins to the local cemetery to bury them in secret. Many people criticised him, saying that he was mad. Initially, even his wife was strongly opposed to this unusual work, but gradually many people came to see it as an act of good will and even started to aid him. This began in 2008, when he was taken to hospital for kidney stone treatment, he saw many fetuses by chance, thrown into drains and rubbish dumps. Since then, he was obsessed by this scene and felt pity. Right after the day when he was discharged from the hospital, she cycled to the hospital to persuade the doctors to allow him to collect the fetuses. After that experience, every day he made his rounds of local hospitals and clinics. A person who understands his job gave him a refrigerator so that he could preserve the fetuses he collected. He takes them to the ceremony for burial every three days. Although he has been doing this for such a long time, he is still emotionally affected by each case. He said he usually buries the smaller ones first, but for the bigger ones, he washes them before taking them for burial. Then, he numbers them and names them in his book. The grounds that he was using have now been filled and he has asked local authorities to allot him more land for the purpose. 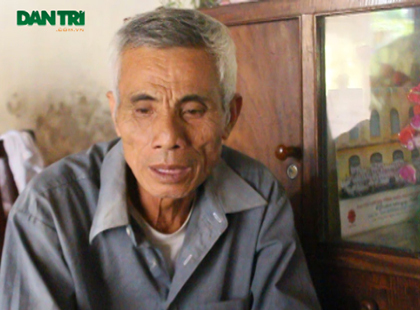 After understanding the importance of Nho’s work, many people in the commune have come to support him. Even a number of old people insist on helping. Every day, members of the group are divided, and go to entertainment areas or parks to sell balloons and souvenirs to raise funds for his effort. The group members not only help collect fetuses but also go to hospitals to try to convince women with unwanted pregnancies not to abort. If the reason stems from financial difficulties, the group does their best to provide aid until she gives the birth safely. They even has a house for women who are contemplating abortions. Nonetheless, he said that in spite of the efforts, his group has only saved eight children.